In today’s troubled economic climate, cost concerns are spreading throughout the business community. As worries increase about excess spending, many businesses are feeling increasingly apprehensive about hiring outside assistance. However, while the tendency is to look inward for solutions to any issues, this may not be the best course of action for the long-term security of your business. Outsourcing services are, in fact, an invaluable means of saving money by cutting costs related to payroll. Instead of keeping a permanent person on staff, outsourcing makes it possible to hire for a position only when it is specifically called for. Yet, despite the low financial investment, outsourcing requires no such cutbacks on quality. An external service provider can be not only the cost-effective option, but can also offer a host of other benefits unattainable from internal staff. In particular, outsourcing your CFO services can open your business up to a world of potential networking opportunities, as well as ensuring you receive expert, objective advice. By outsourcing all relevant tasks to professionals who can evaluate and optimize those processes, you leave your internal staff free to focus on improving other operations. Outsourced CFO services can open your business up to wholly independent, objective viewpoints, as well as injecting your operations with new creativity. Unlike those who operate internally, an external CFO will have no preconceptions or agendas with regards to your business operations. Instead, they will be able to tackle your issues with a thoroughly clinical approach. Such an objective viewpoint is critical to assessing all sides of a situation. In addition, external CFO services will have experience operating in a number of different industries. They will be able to bring all these experiences to your business. Having worked with individuals and companies across industries, an external CFO will have a unique viewpoint, framed by these myriad experiences that will enable them to view your business from a truly global perspective and provide innovative ideas. An external CFO can also provide your business with a wide array of new networking opportunities. Such a CFO will have worked in numerous other companies, both within your field and in related industries, and can provide you with key links that can expand your business. Such links provide new opportunities for success, by leading to new avenues to sell services or products or even by creating connections with competing vendors to potentially decrease costs or increase options. In addition to new business opportunities, outsource CFOs can also deliver invaluable bank and financing connections. Perhaps most notably, such relationships can permit you a chance to network through personal meetings, not just by cold calling. However, these new connections can also enable your business to have the freedom to re-evaluate current relationships and assess what actions will be in the best future interest of the company. Perhaps the best part about outsourcing your CFO services is that you will be able to capitalize on professionals with extensive experience in their field. They will have conducted CFO services not only within your particular industry, but within a variety of related fields as well, enabling them to gain comprehensive expertise. Part-time CFOs have skills in all aspects of their job, including human resources, law, and operations. Such individuals can offer a uniquely global perspective, with knowledge of all relevant legalities and regulations. A part-time CFO can thus be used for a greater range of purposes than a standard, internal employee would be capable of performing. For example, outsourced CFO services could be instrumental in the evaluation and training of staff members. An outside expert would have the time and resources to dedicate to the training and mentoring of your internal staff, resulting in an overall more effective department. § An external CFO can provide an independent viewpoint, reflective of their extensive, focused experience. Such an individual will have performed their specific function in a variety of industries, providing them with a more comprehensive knowledge base that they can, in turn, pass on to your employees. § Since a part-time CFO will have worked in a number of different companies and related fields, they could have considerable business connections that can help improve the performance of your company. 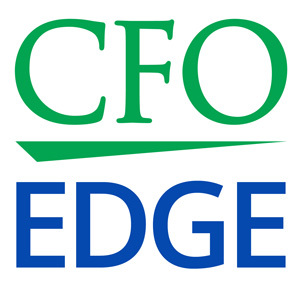 § Outside CFO services are experts in their particular field. They can provide an experienced, objective opinion on the state of your staff and operations, as well possible solutions to any problems they might identify. Thus, weigh carefully the potential benefits against any risks. Los Angeles CEOs and CFOs are likely to see that engaging with a provider of outsourced CFO services delivers significant strategic, business management and operational results expected from adding a high-level financial professional to their team.